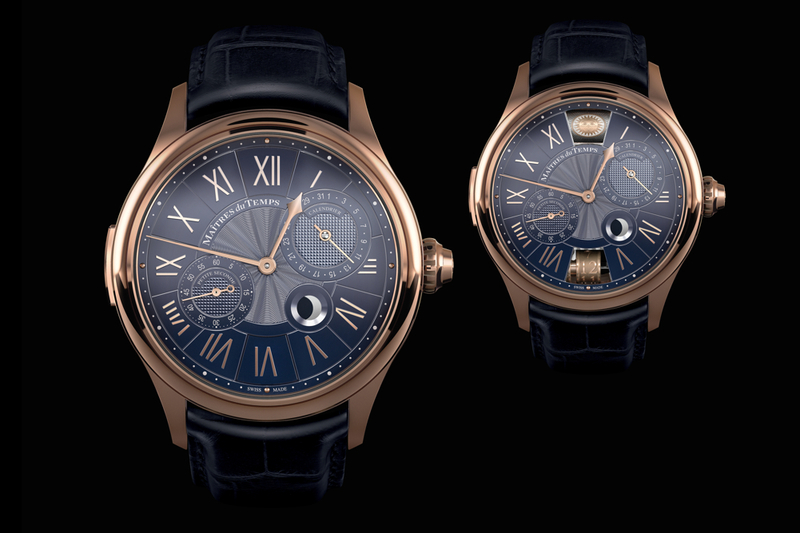 The Maîtres du Temps Chapter One Round features a world-first combination of complications. Crafted from 558 components, no other wristwatch offers a tourbillon with a mono-pusher column wheel chronograph, retrograde date and retrograde GMT, as well as moon phase and day of the week on their own rolling bars. To activate all the functions, everything is operated via four dedicated pushers or a mono-pusher button located in the center of the crown. This setup makes operating the watch extremely easy to do, even with all of these complications. Check out the finishing of the case and movement, on the Chapter One Tourneau and Round (see photos of both versions below).